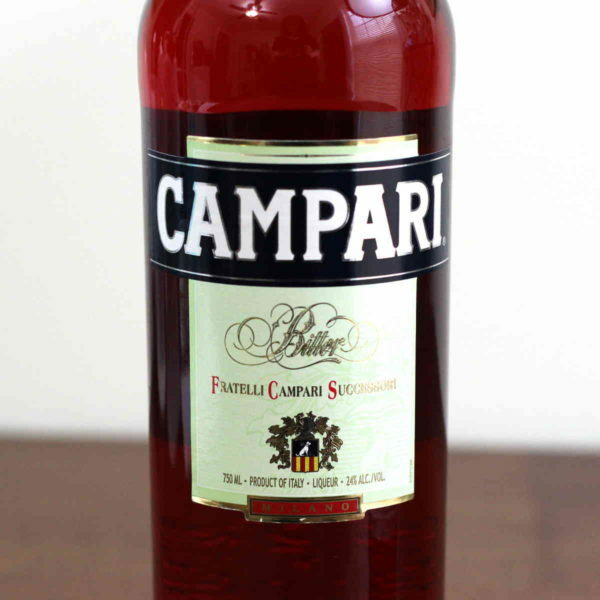 Home / Spirits / What does Campari taste like? 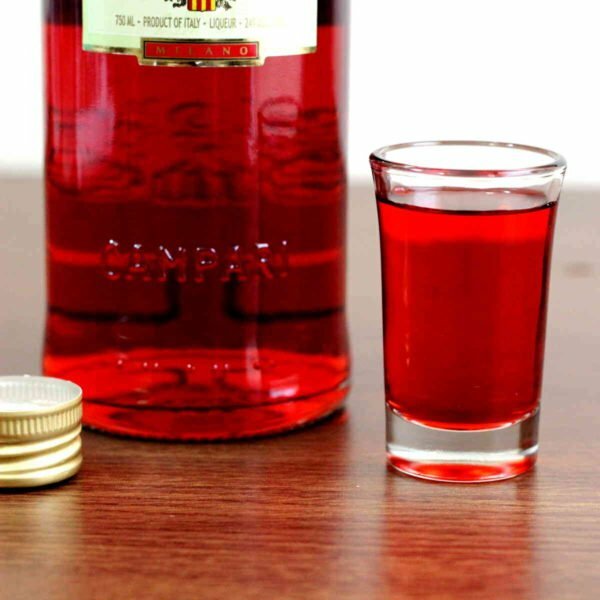 Campari is a translucent dark red liqueur that’s most commonly drunk by itself as an aperitif (before a meal) or in cocktails like the Negroni. It’s made from herbs and fruit, and is often referred to as bitter. 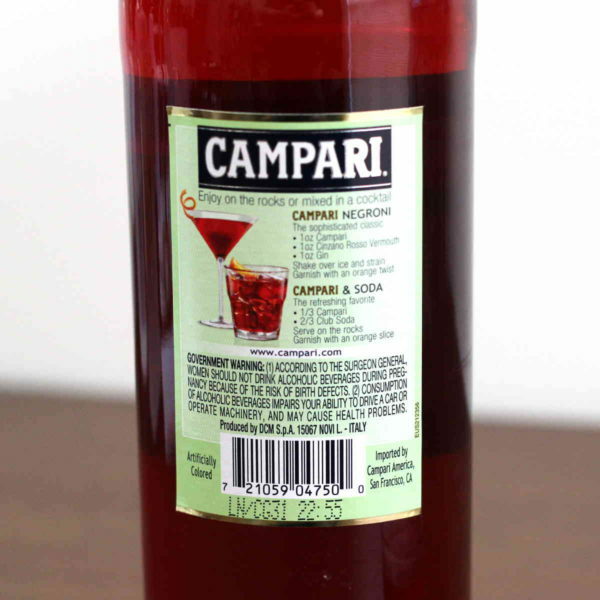 Campari is a proprietary recipe owned by one company, Campari Group, so there are no generic or “other brand” versions. A glass of Campari smells bitter in the way that orange rinds and bitter greens smell. Tasting it, however, reveals much more. The bitterness is still strong, at the start and again at the finish, but there are notes of sweet cherry and orange, and a spicy edge reminiscent of cinnamon. The longer you sip on it, the more apparent the sweetness becomes. But the bitter never goes away. The aftertaste is purely the bitterness. Of course, if you’re having it before a meal as it’s often served, you won’t taste that for long. It’s definitely an acquired taste, but by the time I’d finished sipping a shot of it, I was starting to like it. Then again, I like arugula and other bitter flavors. The texture or mouthfeel is more silky than oily. It rolls around the tongue nicely. It has a moderately heavy feel, like a fruit juice. Check out some Campari cocktail recipes. Trying to find this to try it and make some Americanas this summer. I’ve looked at the liquor store, (state owned) and at walmart and grocery store. Cannot find it. Oh, that’s weird. I’ve never had trouble finding it. Did you ask any of them if they can special order it? I just got a bottle and am literally sitting in the car writing this comment, lol. I am intrigued by the flavor and can’t wait to give it a try! Thanks for the quick description. I love Compari with Tonic. Or Compari and sparkling anything—soda, champagyn, hot lemonade with Campari. Compari and Hot Lemonade, how does that taste???? ?